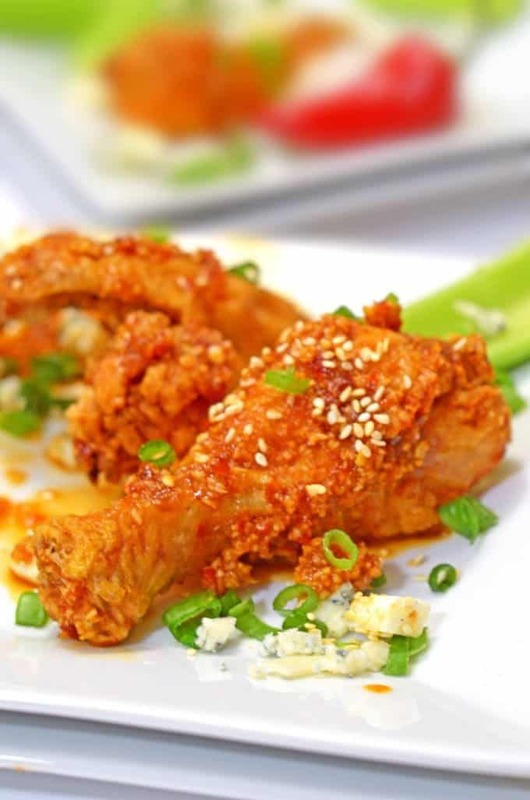 Korean Style Fried Chicken is made with spicy chile paste, blended with ginger, garlic, honey, and a also just few other flavors. It is known for is crackly exterior, brought about by double-frying, thus it’s like no fried chicken you’ve ever tasted. This process makes for a chicken that will stay crunchy for hours on the outside while remaining tender and juicy on the inside. Generally speaking, this was our first time making a chicken wing recipe of any type. 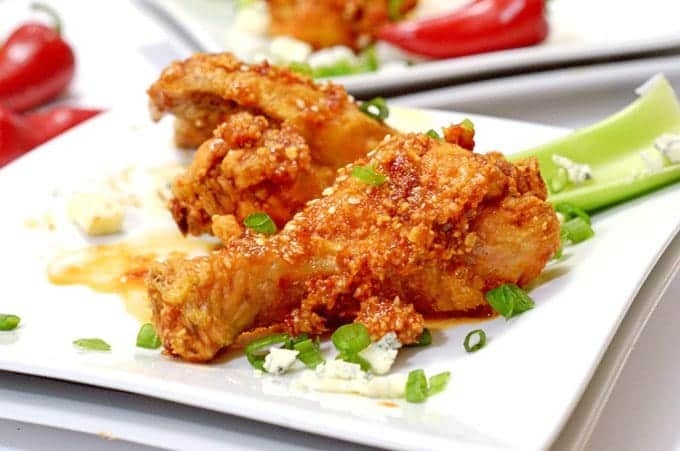 It was fun and delicious and moreover it won’t be our last recipe featuring wings! We’ve fried chicken before, most notably our Oven-Fried Buttermilk Chicken. Over Ovenfried Buttermilk Chicken. Try it Soon. Can I make yet another observation? They are both mouthwatering and unique, in their own right. 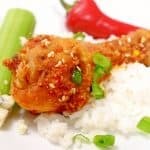 This Korean Style Fried Chicken is full of Asian zing and as a matter of fact, you won’t believe you made this in your own kitchen. 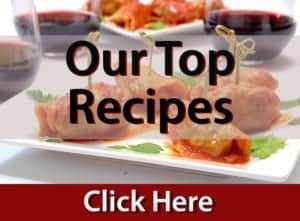 See our Latest Recipe Here! The most amazing thing to me was being able to easily put together something this exotic tasting as well as doing it in my own kitchen. 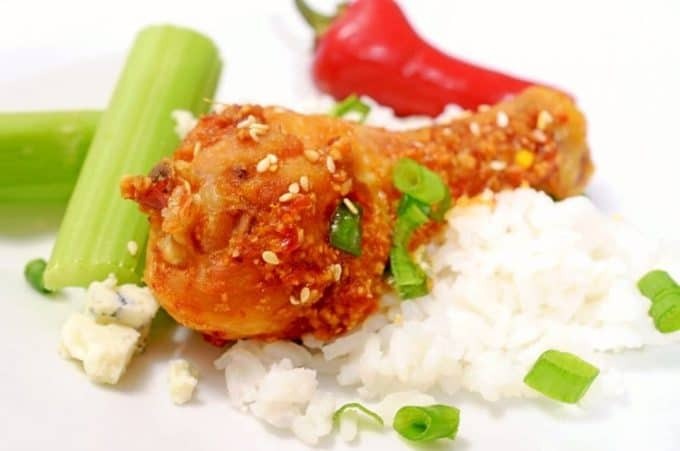 As a result of making this Korean Style Fried Chicken, I want to learn some more recipes that use ingredients such Asian chile paste and sesame oil, both lending dominant flavor tones to this dish. 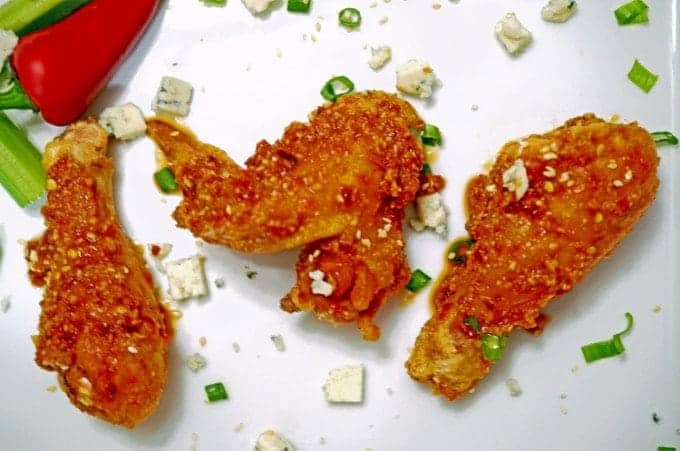 Some of our most popular recipes come from some of the cooking magazines to which we subscribe and once again the base of this Korean Style Fried Chicken recipe comes from Saveur. As usual, I added a few tweaks: A little fresh lime juice, some orange zest, some toasted sesame seeds, and finally a little crumbled Gorgonzola on the side. It’s easy to make and something truly different and overall wonderful. 16 chicken wings about 1¾ lbs. Pour oil into a 6-qt. pot to a depth of 2". Heat over medium-high heat until a thermometer reads 350˚. Chop garlic and ginger in a food processor. Add soy, gojujang, vinegar, sesame oil, lime juice and honey; puree. Put sauce into a bowl. Whisk flour, cornstarch, and &frac23; cup water in another bowl. Add chicken; toss. Working in 3 batches, fry chicken until golden, 6-8 minutes. Drain on paper towels. Return oil to 350˚. 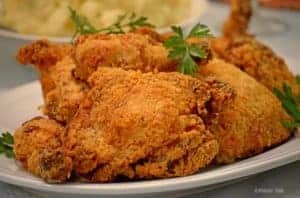 Fry chicken until crisp, 6-8 minutes more. Drain again and then toss chicken in sauce. Garnish with optional orange zest and finally Gorgonzola cheese, if desired. Always good to have a new chicken recipe. Thanks! Planning on making this one soon for some friends. This looks so different to the normal friend chicken recipes. Need to bookmark this one and make it I think! Love hearing about the double frying method! Never heard of it before! Thanks for dropping by, Johlene; this recipe is a winner for sure! Thanks so much, Oana. I hope you try this one! oh my goodness. This looks amazing. I love korean food! I love fried chicken..I especially love Korean style chicken! There’s a restaurant in the bay that has amazing Korean food, and their fried chicken is spectacular! Thanks for sharing! 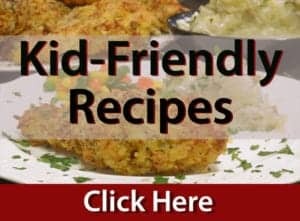 Your recipe looks and sounds delicious! Gojujang is a new ingredient to me but I’m sure I’ll be able to find it. I look forward to trying this recipe! My friend’s mom used to make this and now I can, too! Looks so delicious!